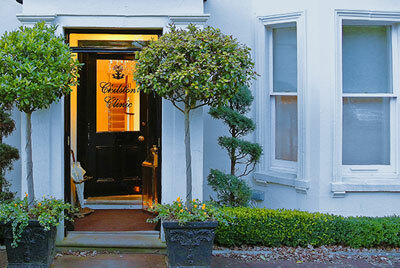 We are proud to offer state of the art and traditional treatments in our beautiful Tunbridge Wells Clinic. Our team of professionals strive to make you feel safe, well treated and comfortable in our relaxed and luxurious environment, whilst delivering honest and professional advice. For us, privacy and confidentiality are key. All our consultations are free of charge as is refreshments and parking. We will treat you in a holistic fashion using the most reliable effective and advanced treatments that really deliver results. We hope you will enjoy your journey with us and we look forward to welcoming you to Chilston Clinic very soon. 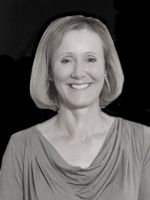 Amanda started Chilston Clinic 25 years ago whilst working with two doctors, one a dermatologist and the other also a respected author on nutrition and this is where she gained her knowledge in looking at a client organically. She worked alongside the Dermatologist for many years, participated in a variety of courses which have led her to become extremely knowledgeable and passionate in aesthetics field treating all skin issues, moles, warts and skin tags. 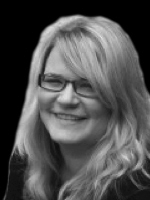 Amanda has a BEd in Education and Training and has been a Lecturer and Trainer in Anatomy & Physiology, Laser, Microdermabrasion, Massage and Aromatherapy. She assisted the University of Greenwich to set up a variety of new courses and continued to be an internal and external verifier for over 8 years. Her other list of accreditations/qualifications are IHBC Beauty Therapy, City & Guilds Electroloysis, Finishing Touches Semi Permanent Makeup, Micro Needling Procedures, Chemical Peeling, LED Light Therapy and Radio Frequency Skin Tightenting. 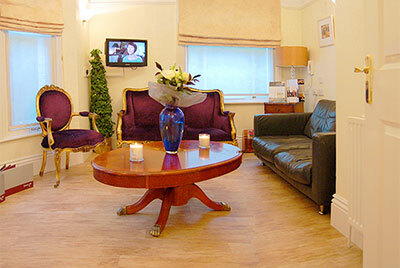 The clinic relocated to Rusthall in 2005 and has witnessed a growth in both staff members and treatments. She personally trains her staff to the highest level and is always researching new ways to enhance the mind, body and soul. 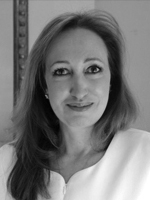 Ann joined us over five years ago from Cheshire where she successfully ran a number of aesthetic and cosmetic clinics. Being a Therapist herself, she brings a wealth of experience to the Clinic and will ensure you get the best care and advice in the best surroundings. Carly joins us as our new Receptionist. She comes from a similar role in London so brings a wealth of experience. She’s the ultimate professional and possesses a warm confidence alongside a calm and caring nature – we all love her already! She’s keen to help you with booking your appointments and providing any advice you may need on our product ranges. 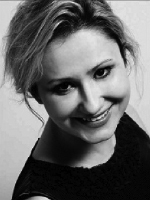 Francesca is a Level III therapist who trained at the London College of Beauty Therapy over 3 years ago. Her previous experience has allowed her to develop her love of advanced skin care alongside radio frequency rejuvenation and electrics. 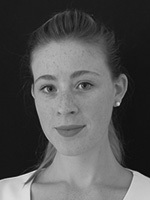 Francesca is also a very competent body therapist and is enthusiastic about relieving discomfort for her clients. She has a caring personality and already has built a wonderful rapport with her clients, ensuring that they receive the very best care possible. A pleasure to have her as part of the team and she will definitely be an asset to Chilston! Bethany is an experienced Level III therapist and has been working within the industry for over 5 years. She has worked with various cosmeceutical brands over the years and this has given her a good all round knowledge of the skin, treatments that will benefit the skin as well as skincare. Bethany relishes the opportunity to build a relationship and advise her clients with as much information to help them achieve their maximum potential. Beth is passionate about helping everyone look their best and improve their confidence. Jessica has recently joined our team and brings an enthusiasm to help and nurture people. 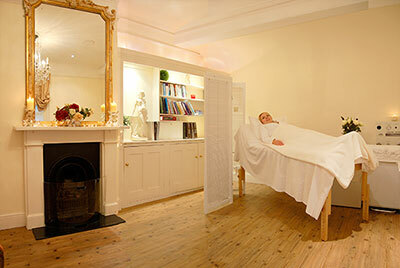 Jessica is a Level III therapist and has worked in a luxury spa environment for approximately 3 years. 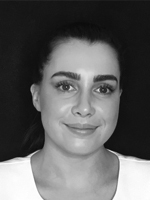 Jessica is experienced in Facial Aesthetics and Body Treatments, alongside all other Beauty Treatments and has continued her educational path and achieved a Distinction in Advanced Face and Body Electrical Treatments as well as Anatomy and Physiology. 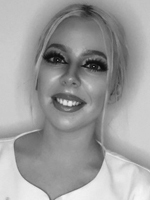 Jessica has a great interest in Dermatology and she is currently undergoing a course in Semi Permanent Make Up and would love to eventually be involved with medical reconstruction, i.e. areola tattooing on breast cancer patients. I am a GHR registered Clinical Hypnotherapist accredited by the National Council for Hypnotherapy (NCH), Licentiate member of the Association for Professional Hypnosis and Psychotherapy (APHP), registered and affiliated member the National Register of Psychotherapists & Counsellors (NRPC) and the Complimentary & Natural Healthcare Council (CNHC). I also hold the Hypnotherapy Practitioners Diploma (HPD). An ardent student of psychology, my interest in the study and workings of the mind and human behaviour spans more than two decades. Hypnotherapy addresses an almost inexhaustible variety of issues from personal development, overcoming stress and anxiety, fears, phobias, addictions, surgical and dental anxiety, weight control, depression, IBS, sport and academic performance and much more. I work with clients living with chronic illness helping them to cope better with medical procedures, to manage pain and to encourage the body’s natural healing process. I have a particular interest in working with children and young teens helping them to find new tools in order to cope with issues such as social anxiety, depression, eating disorders, exam nerves, self-confidence and cyber bullying. Dr Beata, member of the GMC and The British Association of Cosmetic Doctors, specialises in Advanced Botulinum Toxin for the jawline, neck and cheeks alongside more common areas such as smile lines, glabella and forehead wrinkles. She’s also skilled in the treatment of Hyperhidrosis, excessive underarm sweating, and works on highly specialised procedures to correct delicate cosmetic issues such as hollowing under the eyes, which should only ever be performed by a highly skilled practitioner with her breadth of skill and experience. Her enthusiasm and expertise is highlighted by the numerous conferences, workshops and advanced training sessions she attends, both nationally and internationally, which enable her to constantly develop her skills in the latest advanced non-surgical cosmetic procedures. Dr Beata uses only the highest quality, trademarked products in a medical environment to ensure your treatment is as safe as it is beneficial. Natural enhancements and more expert procedures require both a good eye and a professional hand, both of which Dr Beata has developed in her many years of practise. In her career to date she has performed thousands of basic and advanced aesthetic procedures in wrinkle relaxing treatment, dermal fillers (such as Belotero, Radiesse, Restylane and Juvéderm), Sculptra and chemical peels and has honed her specialist skills in non-surgical facelifts which are minimally invasive and incur very little downtime. Her vast knowledge and understanding of the ageing process ensures your consultation will provide you with all you need to know to make the right decision in a professional, safe and unpressurised environment. 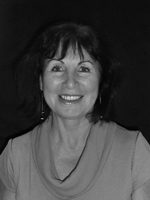 Nina is dedicated to the health and well-being of people young and old providing an expert Podiatry/Chiropody service. Nina is fully qualified, registered and insured. 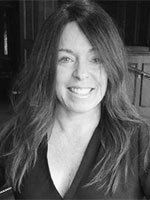 She has over 10 years experience since obtaining her BSc Pod, she is a Member of the Society of Chiropodist and Podiatrists and is on the HCPC Register. Prior to committing herself to full time private work she worked with the West Kent Primary Care Trust where she obtained a great knowledge of high risk patient care, including diabetic foot assessment and treatment, along with wound management and treatment. Fiona is a member of two government regulated Associations; Federation of Nutritional Therapy Practitioners (FNTP) and Association of Registered Colon Hydrotherapists (ARCH). Fiona is a fully qualified Naturopathic Nutritionist and CNHC Colon Hydrotherapist who shows great warmth and inspiration. She practises to the highest professional standard working within the ethical criteria and ethos of the professions. 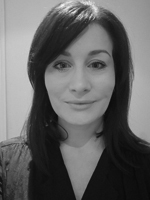 Fiona has over nine years of clinical experience and has built an excellent and varied knowledge base and is passionate about her work with clients. Andrew grew up in Northumberland and the Lake District and has spent his entire career in the pharmaceutical and life science industries. Earlier roles included marketing positions managing major skincare and allergy ranges where he progressed to become a specialist in mergers and acquisitions. 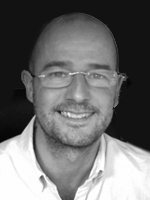 Andrew now scours the globe for clients looking for new and interesting medical technologies. At Chilston, Andrew looks after the strategy and marketing of the clinic and works behind the scenes advising on the business side. 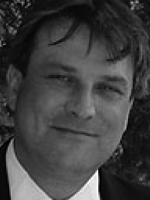 Neil provides effective and marketable creative solutions and has considerable experience in the design and production of: websites, advertisements, annual reports, brochures, corporate identities, exhibitions, magazines, newsletters, product packaging, point of sale items, posters and presentations.